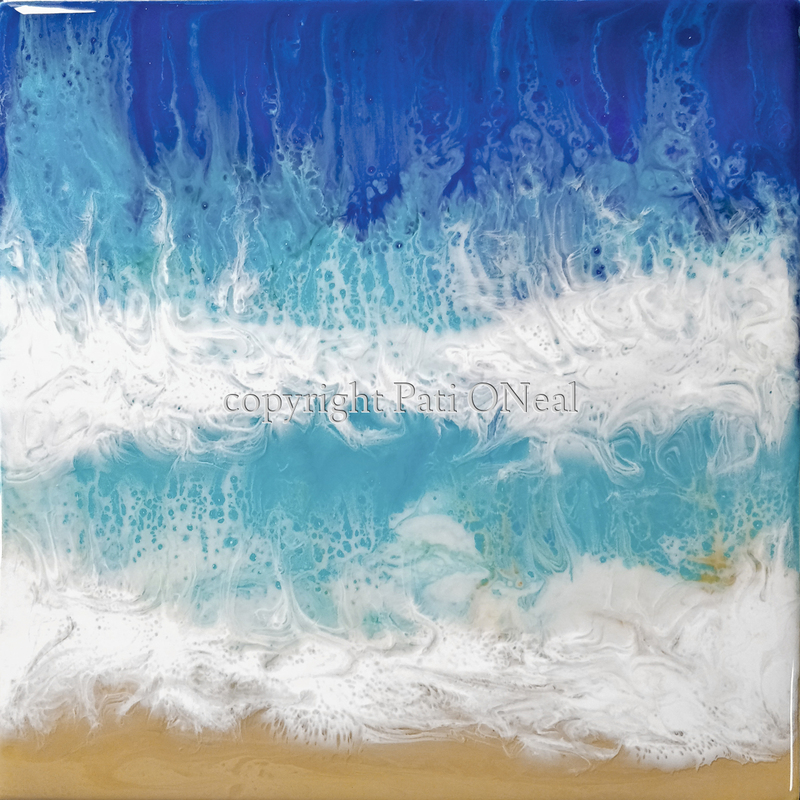 Waves coming upon a sandy beach creating a beautiful whitewash lace effect. The final appearance is created through the application of multiple layers. This original work is available or for a similar commission contact the artist.